“Is it possible to pass through this life without encountering some challenge s and problems at one point or the other?” Socrates, the most famous of the ancient Greek philosophers is often credited with the epochal statement: “an unexamined life is not worth living”. Furthermore, we could also add that: “a life without challenges and problems does not exist”. This may sound nihilistic or better put pessimistic. This is because many people look forward to challenge-free, problem-free and stress-free lives. Some problems come to us by our invitation, others find their way to us directly or indirectly. Generally, there are troubles around us that come in various colours, shapes and sizes just as we also experience good things at various points in our lives. From the above prologue, we can still come to terms with the age long distinction between the good and the bad, light and darkness etc. Wherever good things strive, there is often a challenge or negative reaction from the bad or evil. We see this happening in various areas of our human life especially when we embark on some meaningful and gainful projects. Generally, once there is a benevolent protagonist, there must be a malevolent villain who seeks to undue the good works of the protagonist; though he/she tries but will finally be outdone. Today, we shall be basing our reflection on one of the parables of the kingdom given by our Lord Jesus Christ in the gospel reading of today (Matt.13:24-43). The parable is about a man who sowed GOOD SEEDS of WHEAT in his field but while MEN were SLEEPING his ENEMY came and sowed BAD SEEDS of WEEDS among the wheat. At the time of germination, both the wheat and the weed came up with similar sprouting blades. Thereafter the SERVANTS of the HOUSEHOLDER came and told him that weeds were found among the wheat and the man said an enemy had done that. And he further instructed them not to uproot the weeds until the time of the HARVEST when the weeds would first be gathered and burnt while the wheat would be harvested and stored in the barn. Like other parables of our Lord Jesus Christ, there is an explanation. To get to the explanation and application within our context, it will be helpful to us to examine some of the major particulars used in the parable. 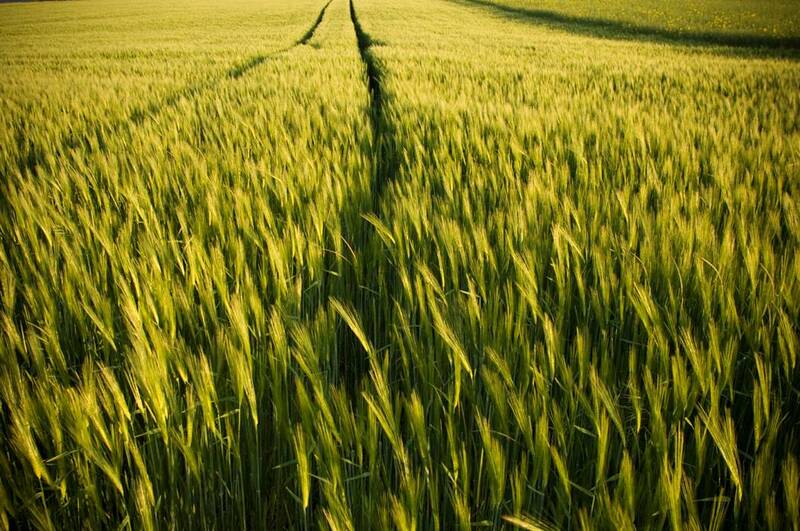 THE GOOD SEEDS OF WHEAT: In the first place, there are GOOD SEEDS and they are those of WHEAT. Our Lord disclosed in the explanation he gave later that they represent the sons (and daughters) of the kingdom. It is good to establish here that the good seeds do not mean only those who go to church or who belong to one particular group or denomination or another as some people would erroneously interpret. The good seeds represent those who not only recognize God as their creator but also obey Him and rely trustfully on Him. They are those who love God above all and also love their neighbours (Mark 12:30-31). They are those who are worthy to climb the mountain of the Lord and stand before Him; those with clean hands and pure hearts and without deceit (Psalm 24:3-4). Those who have made a choice to be on God’s side. Another very important fact here is that these seeds would later become wheat. Why did our Lord use wheat for this parable? 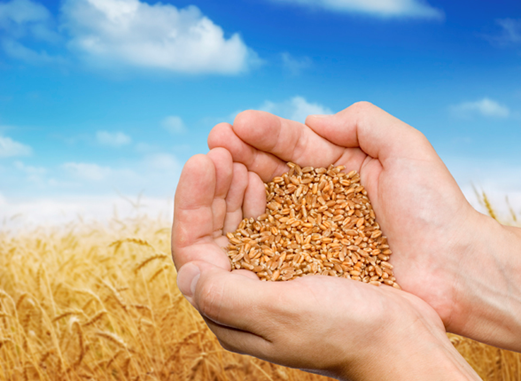 A detailed research has shown that wheat is cultivated and grow in practically every part of the world. This gives it a universal relevance in connection with what it represents in the parable. Furthermore it is commonly used in the production of bread which is actually eaten everywhere on earth. And we all know that bread plays a very significant role in the ministry of our Lord Jesus Christ. He was born in Bethlehem (house of bread), he multiplied loaves of bread (Mark 6:41) and he made bread to become his body during the last supper (Luke 22:19). MEN SLEEPING: I once listened to someone who was interpreting this passage and he ERRONEOUSLY mentioned that the enemy came when the HOUSEHOLDER was sleeping. But that was not what our Lord said. He rather said when men were sleeping. Some other translations will say when people were sleeping. Now those who were sleeping were supposed to be awake. If they were awake they would have known when the enemy advanced. Actually these were supposed to be servants who had been given the mandate to take care of the field but they preferred to sleep. By this attitude they lost their rightful designation and became sleeping men or sleeping people. This actually refers to those of us to whom God had entrusted the souls of men. Often we become sleeping men when we fail to be alert to our responsibilities or when we become recalcitrant. This sleep is beyond the physical. At most it is spiritual slumber as we know that the scheme of the enemy is not carnal (Eph.6: 12). THE ENEMY: The enemy is no doubt the devil as our Lord mentioned in the passage and as St. Peter corroborated (1 Pet. 5:8). His mission we know is to bring destruction (John 10: 10). Furthermore he comes in the night under the cover of darkness because his deeds are evil and he despises light (John 3:20).To perfect his scheme, the enemy comes with the tool of deception by bringing seeds of weed that resembles the good seeds of the wheat at the time of sprouting. Someone may be curious as to know why the enemy actually came to plant the weeds. One of the major reasons is to frustrate the growth and survival of the good seeds by competing for space and nutriment with them at that early stage. The next reason is actually to bring about the extinction or death of the seeds before they mature by overrunning them. Our Lord in explaining the parable mentioned that the weeds represent the sons (daughters) of the devil. These are those whose intentions include but not restricted to bringing on darkness, sin and damnation to the world. They include both the human and spiritual agents of the devil. They can be found everywhere mixing up with the good. In fact sometimes they appear to be more credible than the real people. They can even be found in the church holding exotic positions and commanding respect. They often appear to be very religious though they have no spirituality. They are, going by another biblical designation, “wolves in sheep clothing” (Matt. 7:15). THE SERVANTS: Earlier on, we made mention of MEN SLEEPING. Here, this set of people could be called MEN AWAKE. They are the ones that discovered the weeds that were growing alongside with the wheat and alerted the householder. They are called servants because they were at their duty posts and were able to see what the others could not see. Their time in office was a very active one given their peculiar alertness. Our Lord would refer to them as those whom the master would find awake when he comes back (Luke 12:37). If you pay attention to the gospel passage very well, you will discover that they were not involved in the harvest which was done by another set of workers; that is angels in our Lord’s piece of explanation. THE HOUSEHOLDER: The householder can be pictured as the one sitting above all and watching the entire drama. He knew all that happened from the beginning to the end. He knew when the enemy came, he knew that those who were to keep watch were asleep and he also knew when the servants made the discovery. For him the report of the servants was not a strange one that was why he said immediately and correctly: “an enemy has done this”, and went further to give instructions as to what should be done to save the good (wheat) and discard the bad (weeds). The householder is God. Yes he holds everything. Out of His benevolence He made the world and made man in His own image and likeness and put him in the world. But the devil came to destroy the good works of God through his agents and their mortal venom. THE HARVEST: This has to do with the day of reckoning; the time for the last result. At this point,x there will be a great separation of the good from the bad (Matt. 25:32). This has to do with God’s own judgement which is always unlike the human judgement. One thing that keeps bothering me is whether all the good seeds survived the destructive and competitive presence of the weeds before the harvest. The answer is NO. Of course there is every reason to imagine that some of those good seeds gave up in the heat of that competition. The same situation can be seen in our context. We are in the world coexisting with the good and the bad. Survival and salvation can only come through our reliance on the grace of God which in turn is always sufficient for us. There is need for us to pause and ask ourselves some pertinent questions. “Are we among the good or among the bad?” The word of God says that by their fruits you shall know them (Matt. 7:20). The question above is needful as it is very important. Most significantly there is need for us to take a stand. There is nothing like being here and there at the same time. Our stand or position would determine the kind of harvest that we will make. May the grace of God continue to abide with us so that we remain untouched and unaffected by the corrosive schemes of the bad seeds and may we continue to grow and enlarge till the time of harvest. Have a glorious Sunday and a lovely week ahead. lovely insight – thought provoking – men asleep letting enemy sow weeds.